Adam G. Werner is an experienced litigator and esteemed associate lawyer with Gordon & Partners, P.A. He serves as the lead attorney for the firm’s workers’ compensation, veterans’ disability and Social Security disability divisions. As a student at the University of Florida, Adam studied political science before attending law school at Nova Southeastern University. After graduating, he took a job with the State Attorney’s Office handling criminal prosecutions. After several years, he chose to go into civil practice. 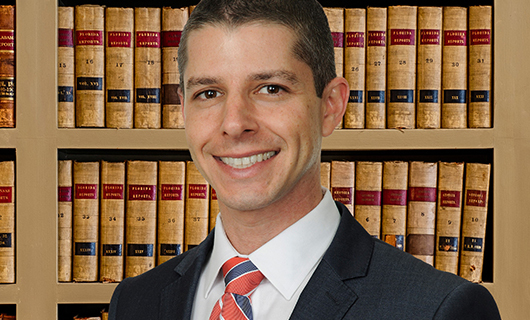 Adam’s comprehensive knowledge of Florida’s workers’ compensation, veterans’ and social security disability laws makes him a highly valuable member of our legal team. If you need reputable legal help regarding a workers’ comp, SSD, or veterans’ disability claim or appeal, contact attorney Adam Werner today.